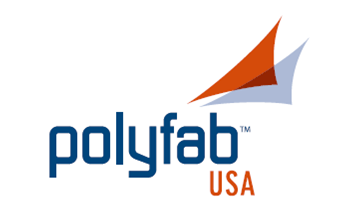 The day before the Expo opened, Polyfab USA held one of its series of very popular Tension Shade Workshops at the Orange County Convention Center in Orlando, FL. The guest fabricator was Tim Collins of All Purpose Shades (Brisbane, Australia). Presentations were also given by Tim Akes of MPanel (St. Louis, MO) talking about Shade Designer software; Barry Jamieson, Director of Polyfab Australia (Melbourne, Australia) talking about the history and marketing of shadecloth, and Steve Morenberg of Polyfab USA talking about Polyfab shadecloth, hardware and edge webbing. 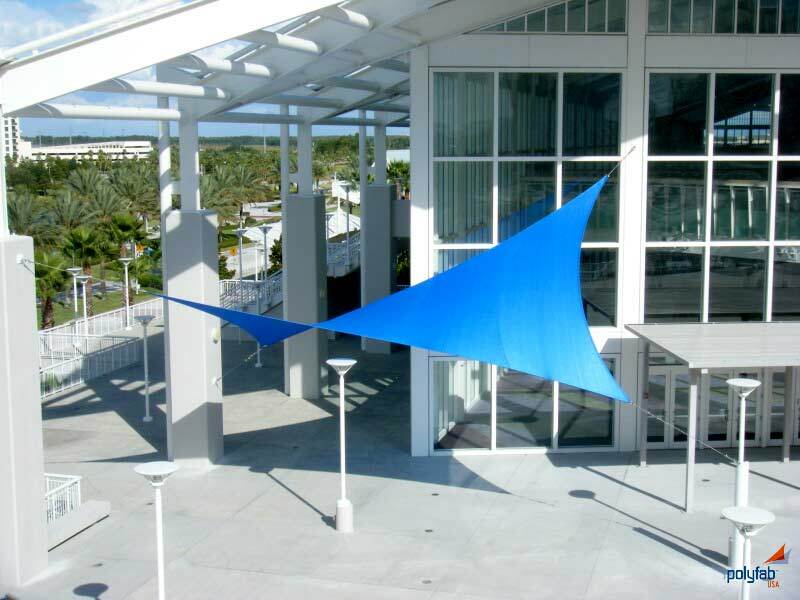 The finale of the workshop was a tour of the new Comtex shade sail installed on the outside of the convention center’s building, a joint venture of the professionals involved, the Convention Center management and Polyfab USA. The fabrication and installation was provided by Jeremy Olson of Pioneer Awnings (Orlando, FL). Design work by Tim Akes with engineering by Gary Foreman PE (Ft. Myers, FL).